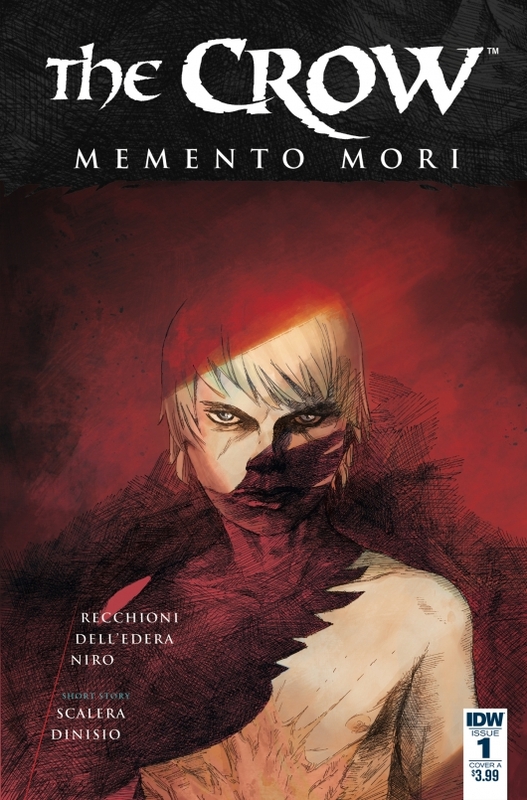 In a classic reimagining of The Crow, “Memento Mori” focuses upon the vengeance of a young man who was killed during an attack on a Catholic procession. Though he was given final rites on the spot, his spirit demanded revenge for both his death and that of his girlfriend, Sarah. This is the beginning of what is sure to be a bloody tale of retribution. The second story, “Buried Virtue,” is far shorter but revolves around a killer by the name of Hecatomb. 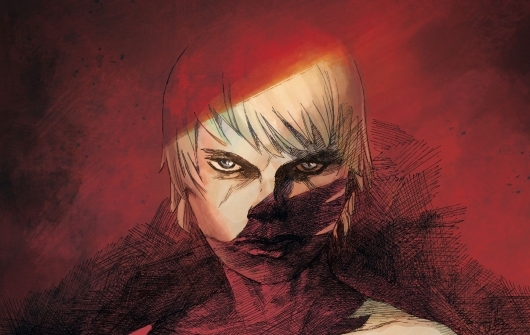 Her journey to a desolate city is full of mystery and familiarity, all at once. She may not know why she feels the way she does but her companion crow certainly does. We are only given the briefest of introductions but surely we will gain clarity as the story progresses. The visual representations here tell a tale that belies the lack of knowledge. I always enjoy new takes on old concepts and this is no exception. The art is dark and shadowed, lending itself to the ambiance for which The Crow is well-known. Any fans of the franchise will have an interest in this and I cannot wait for the next issue. Until then, I hope you enjoy this as much as I do!